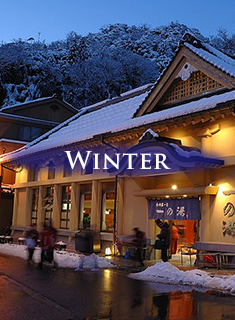 Kinosaki Onsen Ropeway was awarded 1 star in the 2013 edition of the "Michelin Green Guide Japan" travel guide book. 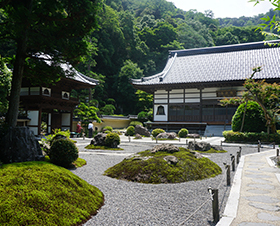 the inns are its guest rooms,the hot springs the bath, and the roads the hallways.
" 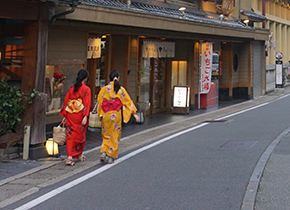 Everyone can relax in yukata, even outside because after all, the roads are the hallways of one big ryokan! If you're not wearing yukata, you're not dressed properly. 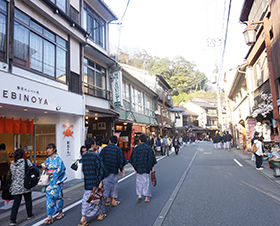 In Kinosaki Onsen , yukata are the formal wear. 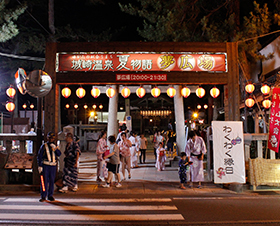 Be sure to change into a yukata before you go out and while visiting the public onsen. 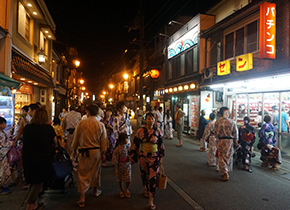 In Kinosaki Onsen, wearing a yukata brings you respect. The first step is to put in on, and after that enjoy coordinating it will your own style. 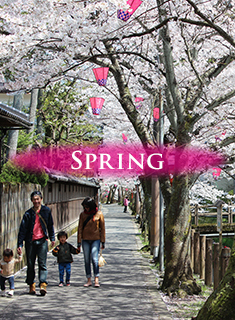 Discover something new by exploring yukata. By wearing yukata, discover a new charm you didn't notice before. You'll even notice new things about acquintances when they put on a yukata. 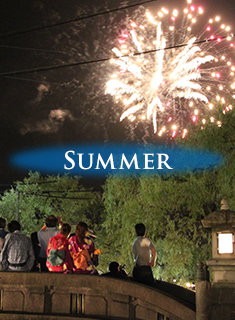 Yukata will create a day of precious memories. 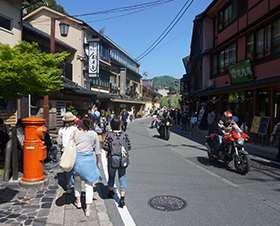 Find the goodness and pleasure of Japan that can't be found in the big cities by wearing yukata for a day and creating everlasting memories. Yukata will remind you of the natural beauty inherent in all things. By wearing yukata you not inly enhance your looks,but open your heart as well. 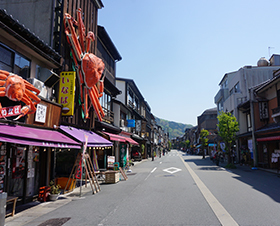 In Kinosaki's onsen town ,there are 7 public hot springs called "sotoyu." Each hot spring has its own distinct atmopshere and style. 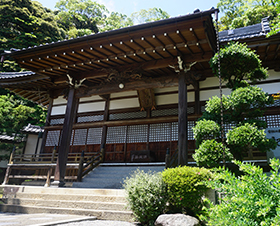 Visitors staying at local ryokan get free tickets to visit sotoyu as many times as you like until 10a.m. of your checkout day. 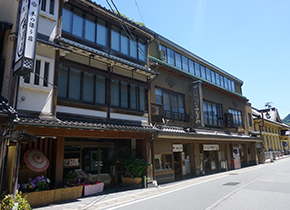 If you haven't tried onsen yet, come to Kinosaki Onsen and experience the ultimate in relaxation and comfort. 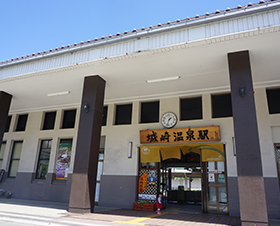 Yumepa is a digital ticket system that you can use for payment at many locations in Kinosaki as well as for entrance to the public hot springs. 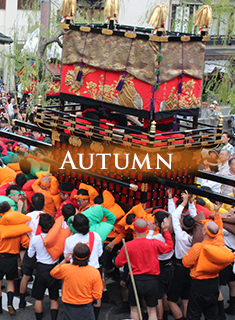 With yumepa, there is no need to carry around cash or complimentary entrance tickets. 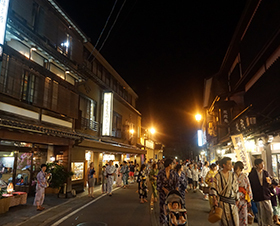 It is especially convenient if you want to experience Kinosaki in a yukata! 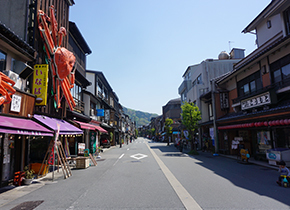 You can register for yumepa at your ryokan/hotel or ask at the Kinosaki Tourist Information Center. 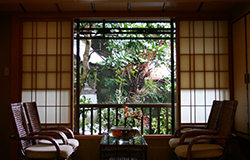 At the ryokan of Kinosaki Onsen yukata are lent to guests staying for free. rental. 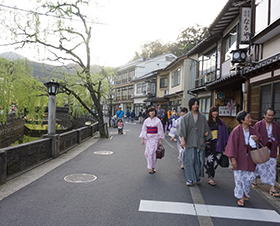 Visitors not staying at an inn can still enjoy strolling around in yukata! 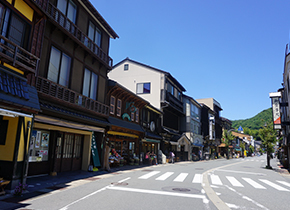 no modern large hotels, and the beautiful townscape of old times is preserved. but also for foreign tourists.